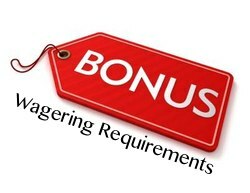 Wagering requirements form part of the terms and conditions that online casinos set for all the bonuses and promotions that they offer to Australian punters. Also known as playthrough requirement, they dictate the number times that players have to play in order to withdraw the winnings they accumulated using their bonus. 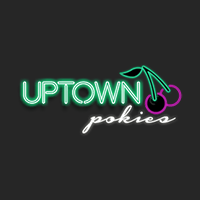 Nowadays it's rare to find the best casino sites no wagering requirements in Australia. Thus, we've listed the lowest wagering requirements casino in Australia. Read through our guide to find wagering requirements explained in detail, types of bonuses you will find at top AU casino sites as well as how they work. What is Wagering Requirement Online Casino? A wagering requirement relates to the conditions that casino players are required to meet in order to withdraw the money generated from using casino bonuses to gamble. Internet casinos provide players with credit to play their favourite casino games. This is different from free casino game in which gamblers play for fun. Once a player has read and understood the bonus wagering requirements, they will have to bet a predetermined amount of times before they can withdraw their winnings. Australian online casino sites typically list all the playthrough requirements that are attached to the offers on their bonuses. 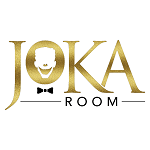 Players will commonly find them on more than one page on the casino website, either on the bonus and promotions page or the terms and conditions page. For example, once a new online casino player signs up to a casino, they will be eligible to receive a welcome bonus as a gift for choosing the site. The bonus will match the initial deposit the player makes up to a specified percentage. The best real money sites typically match the first deposit 100%. This means that a player’s bankroll will be doubled. The fine print of the sign-up bonus will typically describe that the is 20x wagering requirements. This means that Aussie players will be required to bet their deposit bonus amount (e.g. AU$100 20 times, which adds up to $2000. That is all the wagers that a player makes need to reach a total of AU$2000 before they can cashout their bonus, not that the deposit has to reach the same amount. Why Do Casinos Online Have Bonus Wagering Requirement? Unlike land-based casinos, internet casinos offer new players gifts for signing up to their site. These gifts take the form of free spins, no deposit bonuses and welcome bonuses along with daily and weekly promotions and tournaments. Wagering requirements are put in place to prevent casinos from going bankrupt from providing free credit to players. This does not mean that casino sites set unrealistic conditions for players to reach, it just means that players have to earn their wins. If wagering requirements weren’t available, players would simply use the bonuses and cashout after every win. While wagering requirements are the standard practice for AU casinos, it’s rare that you might find a casino website without wagering requirements. We’ve provided players with a list of the lowest wagering requirements casino sites in Australia. So, visit our recommended casino sites and claim your bonus today!